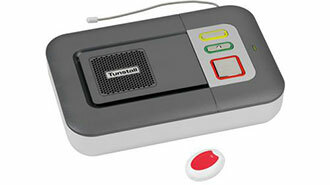 Careline365 are a national provider of pendant alarms for the elderly. 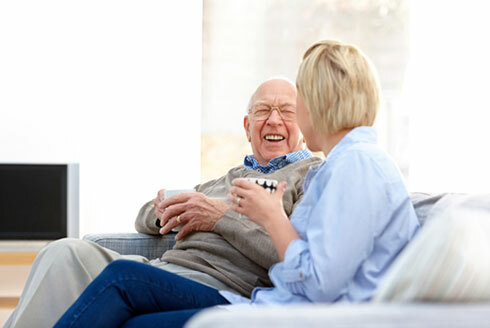 Our life-saving system has been designed to allow the elderly, and frail, residents of the UK to continue living independently in their own homes. Pendant alarms are the best solution if you are living alone, especially if you have some form of medical condition. Having the alarm will not only give the user a confidence boost, but it will also reassure their loved ones that help is always available to them. Our monitoring team work 24/7, 365 days a year to ensure that somebody is always there to react in an emergency. With a push of a single button, our customers will be connected to the monitoring team. They will speak with the customer, assess the situation and call for help - through loved ones or the emergency services. Are you considering a Pendant Alarm? Read about the great features below! The MyAmie Pendant is stylish and discreet, with comfort at the heart of the design. It can be worn around the neck or wrist, depending on the wearer's preference. The pendant is waterproof for use in the bathroom and can also be used outside in the garden - with a range of up to 100m. The Pendant Alarm's base unit is a plug & play device. Plug the unit into your telephone socket, connect your phone to the back of the unit and plug it into a power socket. The loudspeaker allows our monitoring team to speak with our customers should they press their help button. Call 0800 101 3333 for further information. 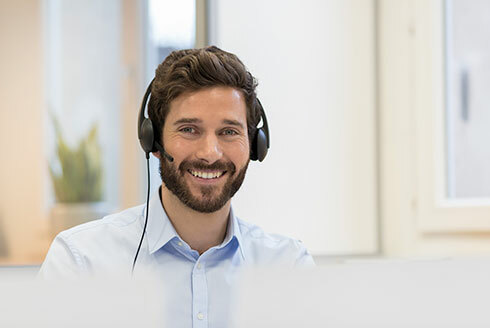 Our monitoring team are highly-trained and work 365 days a year to ensure that help is always available to our customers. When a pendant is pressed a member of the team will respond over the base unit's loudspeaker, assessing the situation instantly. Next the team member will reach out to the customer's emergency contacts, which are kept on file. Commonly, customers select their neighbours, family member or friends to be their emergency contacts. The emergency will also be contacted if they are needed. The monitoring will also speak to you on a monthly basis as you complete your test calls, just to ensure that everything is running correctly. Our most cost effective tariff.